How Does Negative Gearing Help You Save Tax? How Does Negative Gearing Help You Save Tax? Negative gearing property is a popular investment strategy in Australia, but how do you actually save tax by negatively gearing your investment property? 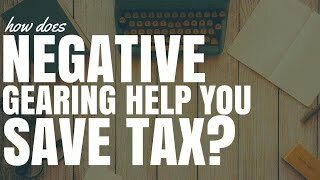 How does negative gearing help you save tax? There are a lot of investors in Australia who are negatively gearing their properties with the promise that it’s going to help them save money on tax and with the hope that they’re going to make money through capital growth in the future. But how exactly do you save tax through negatively gearing your investment property? 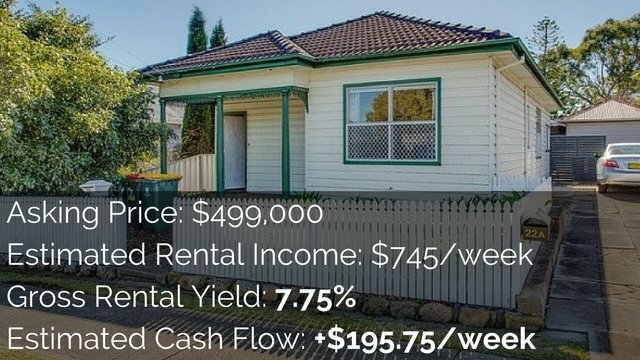 Hey, I’m Ryan from onproperty.com.au, helping you find positive cash flow property. If you’re looking to save tax through negative gearing, it’s important to understand, how exactly does that work? Why do people do it? And what are some of the risks associated with negatively gearing your property? Before we get into it, I just want to put out a disclaimer that I’m not an accountant or a taxation adviser, so none of this should be considered as personal taxation advise. This is for general educational purposes only. The way negative gearing helps you to save tax is by offsetting your taxable income. Now, if that sentence doesn’t make sense to you, don’t worry, I’m going to explain it. Let’s use a very generalised example. Let’s say that you earn $100,000 per year from one job. You just have a job, your employer pays you and you earn $100,000 per year. You pay a certain amount of tax based on that $100,000 that you earn. And now, that way that tax is calculated in Australia is a tiered system. So the first chunk of money you earn, I think it’s like $6,000 or something like that, is tax-free or maybe even up to $18,000. And then, slowly, the more money you make, the more tax you pay. So, after $18,000, I think you’re paying around 18% tax or something like that. And then once you go a bit higher, tax rate increases to 30-something percent. And then once you go really high and you’re earning, I think, it’s over $180,000 at the moment; you’re paying over 45% in terms of your tax. Now, don’t take that as law. Obviously, I’m not 100% on the numbers. But, basically, it’s a tiered system so the more you earn, eventually, you end up paying more tax. Of that $100,000, there’s a chunk of tax that you need to pay. Let’s just, for this example, call it $30,000. Let’s just say, across the board, on average, we’re paying 30% in tax. This is going to be super general. So this won’t apply to you, it’s just so we can get an idea of how this works. So we’re earning $100,000, we’re paying $30,000 in tax. But now we have a property. We have a property that is negatively geared by $10,000 per year. So, about $200 per week, this property is negatively geared. What then happens is we take that loss of $10,000 and we mix it with our income of $100,000. So we have income of $100,000 minus a loss of $10,000 equals $90,000 in taxable income. So, what it means to offset your taxable income means that you’re actually taking that loss away from how much income you’re allowed to be taxed on by the government. So, previously, you were taxed on $100,000. And you paid $30,000 in tax, very general example of 30%. You now lost $10,000, so your taxable income is now only $90,000. And so, your tax on that, let’s say it’s still 30%, would then be $27,000. So there’s $3,000 difference between if you earn $100,000 or if you earn $90,000. And again, just let me say, very general example. That $3,000 or that tax refund is how you save tax through negative gearing. So what negative gearing effectively does is lower the taxable income or what income you say to the government, I earn X amount of dollars per year. Often we simply think of our income of how much money I earn. But really, your income can be a mixture of things and can be multi-faceted. So you can earn income from a job that you have employed at. You can earn income on the side, let’s say you mow people’s lawns, you get paid in cash; that can be income that you’re taxed on as well. You could work as a sole trader or a contractor. You could get stock dividends. 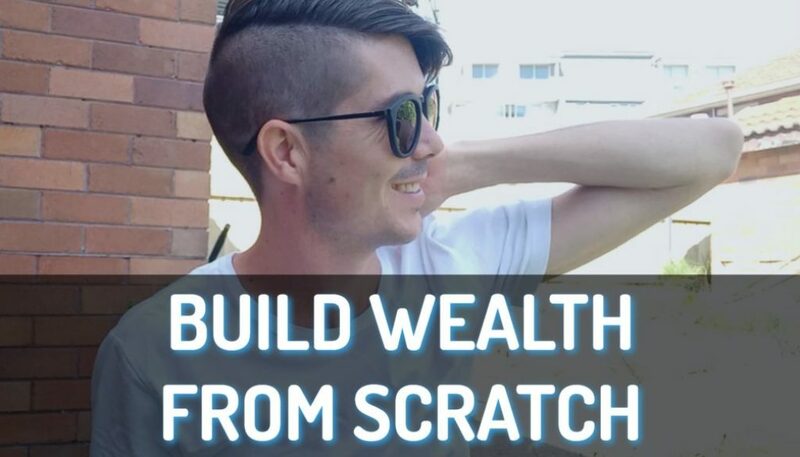 You could get income through capital growth, through the selling of a property or the selling of stocks or the selling of another item that’s gone up in value. Or you could also generate income through positive cash flow property. But the same is true; you can lose income through positive cash flow property. And so, basically, all of those different things need to be taken into account to work out how much “taxable income” you have at the end of the year. And that’s how the government is going to work out your tax. That’s how negative gearing can help you save tax because it lowers your “taxable income” when you’re presenting that to the government; which affects how much tax the government thinks you have to pay. The reason that you often get a refund due to negatively gearing property is that when you’re in a job and you’re earning money, your employer is paying tax every single pay cycle based on how much you’re earning. And so, the goal is that by the end of the year, you would have paid the right amount of tax, so there won’t be a tax refund or there won’t be a tax payment that you need to make. But because the employer’s thinking, okay, you’re earning $100,000 per year. So, we’re paying tax on that. But they don’t know about your $10,000 loss in property. When it comes time to submit at the end of the financial year, to say, well, actually, I didn’t earn $100,000. Even though throughout the course of the year, I paid tax as if I was going to earn $100,000. I’ve actually only earned a taxable income of $90,000. Because there’s that difference to what you’ve paid the government and what you actually earned because of your negative geared property, the government then goes, oh, whoops! you’ve overpaid your tax, here’s a tax refund for you. I hope that understands the basics of how it works. There is a bonus for negatively geared properties, and that’s called depreciation. Depreciation is simply the lowering in value of an item. The easiest way to explain it is if you buy a new car, within the space of a year, that car’s going to be worth less money. So, however much that car is worth less than what you paid for it, that’s depreciation. Let’s say your car’s worth $30,000 and at the end of the year, it’s worth $20,000. That car has lost $10,000 of value or depreciated by $10,000. The reason this is so important for negatively gearing, is that depreciation is an on-paper loss that you can claim against your taxable income. Let’s say we have our property, and it’s negatively geared and we’ve lost $10,000 over the course of the year. But let’s say we can also depreciate our curtains, our carpet, all of our fittings and fixtures, our white goods, our stove top, all this sort of stuff. Let’s say we depreciate it to the value of $10,000 as well. Now, our property, on paper, has actually lost $20,000. Even though we’d only had to pay $10,000 out of our pocket. So now, we take that $20,000, instead of just the $10,000 and we offset that against our taxable income. So instead of us earning $100,000, or instead of us earning $90,000, we’re now taking that $20,000 and so it looks like we’re earning $80,000 in terms of taxable income. So that’s why a lot of people encourage you to go into new-build properties with high depreciation. Because the more you can depreciate and the more you can claim as an on-paper loss, the more you can offset your taxable income and the less tax you have to pay and the higher tax refund that you get. I’m sorry, this is a bit technical. I am struggling to explain this in simple terms, without using a lot of math. I know that we don’t really want to talk about math and look at equations on my blackboard here. So, I’m just trying to stick to basic ideas. That’s why depreciation is so valuable. But there are some catches with negative gearing. The first catch is it only works if you’re earning a good income. If you’re earning over $180,000 per year and every dollar you earn you’re paying 48% tax or something like that. So, for every dollar, the government’s taking $0.48. Well, every dollar loss that you have, you’re getting $0.48 back. But let’s say you’re not earning much taxable income, you’re only paying 18% tax. For every dollar you lose, you’re only getting $0.18 back. So, negative gearing works really well when you’re in those high tax brackets and you’re paying a high amount of tax. It doesn’t work as well when you’re earning a lower income and you’re not paying as much tax. If you’re in a low income earner, you’re earning $30,000, $40,000, $50,000 a year, you’re not paying huge quantities of tax, then you’re really going to be limited in how much negative gearing can help you. There’s also some risk with negative gearing that you need to be aware of. Big caution, they have actually previously removed negative gearing in the past – the ability to offset your losses against your taxable income. In 1985, I think it was, the government actually temporarily disallowed that. So you weren’t allowed to offset your losses against your taxable income. They then brought it back in because they thought it was influencing rents and stuff like that. But there’s a lot of talk at the moment of them actually cutting it out again. And if you think about it from a government’s perspective, we’ve got escalating property prices at the moment. Sydney and Melbourne have gone gangbusters; they’ve grown over 10% a year or 9%, something absolutely crazy. The government can achieve 2 things by cancelling out negative gearing. The first thing they can do is actually stagnate the market. So they’re making it less interesting for investors to go and invest in these negatively geared properties, so less investors will. So they can limit the amount of people wanting to purchase the properties. That can kind of monitor or stagnate the property cycle. They can achieve that if they feel property prices are getting too high. Another thing that they’ll achieve is more tax. Because everyone who’s negative gearing, those offsetting their taxable income, they’re paying less tax. If the government was to cancel negative gearing, then, all of a sudden, they’re going to get a lot more taxable income and they’re going to make a lot more tax that they can use as a government to put into surplus or to do God knows what the government does with the money. It’s up to them what they do with it. But if the government can limit the property growth, if they think it’s getting out of control, and they can make more tax, that sounds like a pretty cool thing to do. Obviously, there’s concerns they need to think about as a government, I’m not saying they’re definitely going to do this, but it is a possibility. So if you’re purely relying on negative gearing as a way for you to make money through property, there are definitely some risks associated with that that you need to be careful about. And I do believe in the US, they got rid of negative gearing or it’s very limited in what you can do to negatively gear a property. Negative gearing can be very powerful, especially by adding depreciation in and increasing the tax offset or the losses that you have on your property, can help you save a lot of tax. But there are some risks associated with that and you can only do it up to a point. Because once you have offset all of your taxable income, there’s nothing left to offset and there’s no tax to save. So it’s only going to work if you’re paying tax and especially for those high income earners. And it’s not really going to work for low income earners or people who aren’t claiming a lot of tax. There’s also that risk that negative gearing may go away completely. I think that’s one of the reasons that I’m pretty passionate about positive cash flow property is that you don’t have this issue. Positive cash flow property, you’re making money, you need to pay tax on that money, because you’re making it. However, you still have depreciation in your corner. 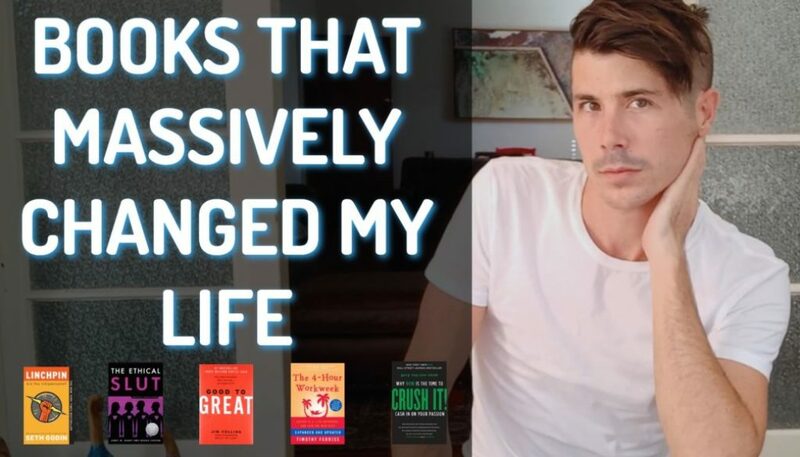 So, often, you can offset all or part of the passive income that you’re getting from positive cash flow by actually using the depreciation in the property. So that is a possibility, so if you’re thinking, oh, well, I want that depreciation so I have to invest in negative geared property. Not true. You can make passive income and you use depreciation to offset that passive income. So, that’s a possibility that I just wanted you to be aware of. If you’re interested in investing in positive cash flow properties, rather than negative gearing. Then, I do have a premium membership that I can give you access to where I actually go out and I find positive cash flow properties for my members. 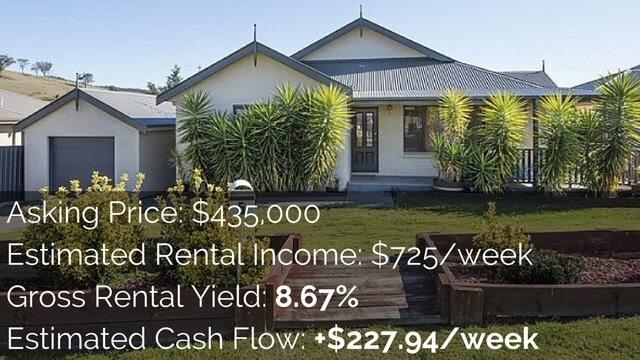 It’s called On Property Listings – every single day, I share with you a new high rental yield property with a good chance of being positive cash flow. So if you’re interested in investing in positive cash flow properties but you just don’t know how to find them and you want to see some real positive cash flow properties on the market, available for sale today, then On Property Listings may be suited to you. Go to onproperty.com.au/listings and you can choose from a monthly, annual or 2-year option. 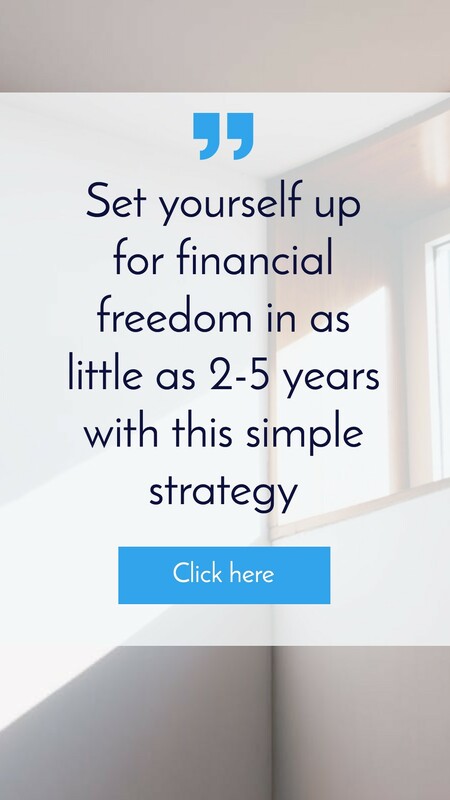 I do recommend the 2-year option because you make a great saving. Again, that’s onproperty.com.au/listings. 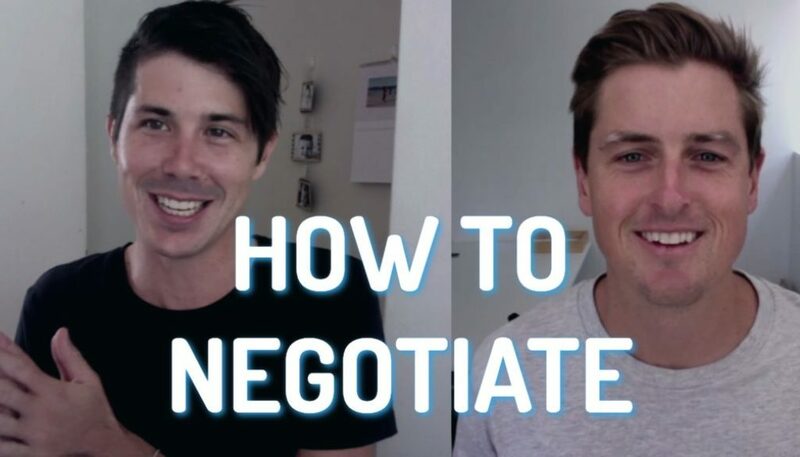 I hope that this episode has been helpful in explaining how do you save tax by negative gearing and give you some thoughts into the risk about it and why you actually may want to be positively gearing your properties. Especially, if they remove the negative gearing from the tax and you can’t do it anymore. I hope that this has been helpful, hope to shed some light on this topic. Until next time, stay positive.